We are huge believers in group healing and healing from long distance. Today “out of nowhere” we started thinking about John McCain, who is currently a U.S. Senator representing Arizona, and was once a P.O.W. My Dad was a P.O.W. in WWII and we were thinking about him and thinking about doing a post about when we were with him in his last days. So maybe my Dad made this request and even though we have never done a post about healing a specific person, this seems very important. John was diagnosed with brain cancer in July 2017 and is currently being treated. If you are reading this post could you please over the next few days take a minute or two and think of John and say a quick prayer or send some healing energy to John. We will be doing a long distance Reiki Level II “send” of healing energy at 9:30 PM PST tonight, and tomorrow night. If you see an American Flag when you are out and about this weekend, please think of John. 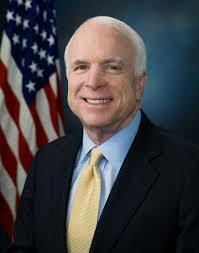 He has served this awesome country for decades and if anybody is the ultimate Patriot, it would be John McCain. We thank you for taking the time and we are send you many blessing because we know you guys are all great folks and care. Any OBSOW’s reading this thank you and many blessing coming your way. We have nothing to add right now except to say yo all of you NAMASTE! We have always believed that we as part of The Universe can heal and or transform ourselves. We create our lives and sharing the creation is why we are here. We learned Reiki so that we could heal ourselves using the energies provided to us by The Universe and wisdom of others we meet along the way. We do from time to time perform Reiki Healing Sessions on others, but because Reiki Level II allows the sending of energy over long distances, we are often sending healing energy throughout the world and upon request, to individuals asking for healing. Meditation can be used also for healing. Right now as we create this post we are listening to a You Tube video “ 285 Hz | Immune System Boost | Heals and regenerates tissues |”. Back when we first started meditating the sound vibrations were not available like they are now. This adds a great level to healing in our opinion because it gets deep into our DNA level. Using visualization, color, and sound gives a much more powerful result and some of the videos say “this video gets to your DNA”. 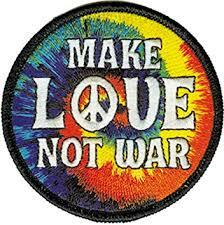 Yes folks, we can and will heal ourselves and others as our spiritual growth grows and we share the growth. In our April 30th post of “Belief System / Spiritual Tools / Books” we mentioned a five volume set of books named ‘Life and Teaching of the Masters of the Far East.” In volume 1 page 30 we found a description of how we can transform ourselves to grow young instead of old. We started practicing the following recently and if you chose to join us on this journey we welcome all. We have nothing to add at this time except to say thank you all for supporting our site and to happily enjoy “The jewel of youth” with you. My friend has been going through this treatment for a few weeks and the mucus in his lungs is completely gone along with some other aches and pain. I talked to my friend before the treatment and he sounded like he had a sever chest cold and I even thought, maybe I should go see him. Seems there are licensed people that do this treatment, but it seems to work for individuals. A Google search provided us some practitioners in our area. I woke up Sunday morning with a clogged head and nasal drip. I held my ring finger for five minutes and it all cleared up! Yes! Gone and I was amazed. Holding your thumb also opens up channels for you to receive nourishment on an inner and outer level, not only physically, but also mentally, emotionally and spiritually. And if you need help falling asleep at night….or getting back to sleep when you wake up too early….just grab your thumb. This hold also helps dissipate worry, nervousness, stress and tension, so it’s a real godsend of a self-help tool for this day and age! Hold each finger for 3 to 5 minutes daily and your whole body will experience a wonderful calming, rejuvenating, balancing and harmonizing effect- and it’s cumulative, so the more often you practice JSJ, the more benefit you receive. The index finger has to do with functions of the muscular and digestive systems, the kidneys, and the bladder; it can help with teeth and gum issues, backaches, and addictions of any kind, as well as with reducing fear, frustration and mental confusion. So if you need support with any of those issues, grab that finger and hold! The middle finger relates to the blood, liver and gall bladder, and feelings of anger, irritability, indecision or frustration. It can also help with eye/vision problems and relieve fatigue. 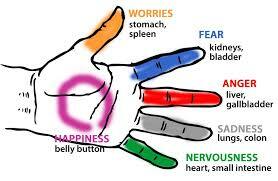 So hold this finger to work on any of these organs/areas of the body and particular mental and emotional stresses. The ring finger relates to the lungs and respiratory system, as well as the large intestine, and holding this particular finger works to rejuvenate and bring balance to those parts of the body. It can also be used for ringing in the ears, excess mucus, and to relieve feelings of sadness, grief, negativity, and being stuck or having trouble with letting go. And last but not least, the little finger, or “pinky,” is connected with functions of the skeletal system, as well as the heart and small intestine, and can be used to address bone or nerve problems and heart conditions. On a mental and emotional level, the little finger relates to trying too hard or overdoing, and can help with feelings of insecurity and low self-esteem. We hope your meditation practice is going well and you’re playing with your energy or sending out to all of us. Our next post will be a fun meditation that usually provides surprises. We have nothing else to report except to all Namaste. Right off we want to say to the reader that anything we say here take with a grain of salt. We are sharing our experience and if something we say doesn’t sit well with you then forget it or figure out a different way of doing something. For example, when we first started reading about meditation most of the “so-called experts” said to sit cross-legged, back straight, head tilted slightly done, hand in lap, and thumb and point finger touching. This position made my back hurt after several minutes, or we would be concentrating on keeping a correct position that we could not focus. I changed to sitting in a chair with my feet planted on the floor and my arms where they felt good, usually on my lap. My feet on the floor gave me grounding and if we were passing healing energy through our body we made sure to send some healing energy to mother earth through our Foot Chakra. Mother Earth gets enough abuse by the inconsiderate anti-earth people she can use all the healing energy we can send. Most of the time we place my hands open on my upper legs so to complete a “circuit” of energy flow. These days we are usually sending energy throughout our body or to someone else who has asked for some Reiki Healing Energy. If you’re not using energy then just get comfortable, even by laying down. There are no rules, nothing is etched in stone. If you wish to hang from a chandelier, then hang from the chandelier if that makes you comfortable. The videos we post are to be used as assistance to your meditation. We focus on the sound and choose to become one with the sound when fully focused. Which means the sound is effortlessly flowing though our body along with the energy we are sending. If the video distracts you then don’t use it. When we first started we focused on the flame of a candle, or a light down up in the sky, or just about anything that caught our eye. Or just close your eyes, it’s as simple as that. Visualization is a big part of some meditations so closing your eyes helps in the beginning. Now sitting there reading this take a deep breath, no so deep you pass out, but a fairly deep breath. When you let the breath out feel the tension in your body flowing out with your breath. 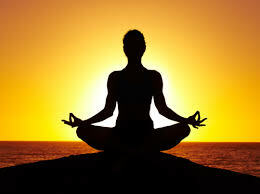 Breath in positive energy and sit for a few seconds enjoying the release of tension. Then take another deep breath and let go more tension. Feel it gushing out of your body and enjoy the feeling. No one more and this time get ride of the tension in your shoulders on the out breath. Yes, feel it leaving and taking what was left out of your body. Sit an relax. Nice huh? So out breath goes the negative energy and the in breath is positive energy (we use love). This is the basics of a mindfulness meditation process. Normally breath and focus on the in-breath and out-breath. When we say focus you choose to get to a point where that is all that is, your breath in and out. We call this “being in the moment, nothing else exists. The past and the future are illusions and this is our only reality.” We are deep in to our soul level and totally at peace with all there is. Starting out you might not get deep in, but practice the breathing. If during the breathing a thought come to mind. Notice the thought, sit with it, because you know it will pass shortly as most thoughts do, and when it passes continue breathing. If it does not pass, what we do is talk to it. Yes we talk to the thought basically to recognize it or some might say to honor it. Our purpose is determine why it is visiting us and just about every-time once we determine why it moves on and does not come back. This is how we handled all the urges to smoke when we quit smoking. The thought was an urge to smoke based on a certain event, and we basically greeted the urge and said to the urge “We usually go smoke a cigarette when you come along but today we are going to continue our breathing meditation. You are welcome to hang around, but we will not pay any attention to you.” After a few seconds the urge would pass and the next time the same event that triggered the urge came along we did not get the urge to smoke. (It’s been 4 years and 10 months since our last cigarette) See out quit smoking post for more. This is all for today and we urge you all out there in cyber-land to practice every chance you get. If you are driving be sure not to close your eyes, but you can still breath and when the police pull you over for swerving and have to take the DUI sobriety test, you can laugh at yourself BUT be sure to stay in the moment. We hope all of you get something out of what we reported and we will be setting up our email soon so we can take questions or comments. Love, Light, and Peace to all of you along with many blessings. 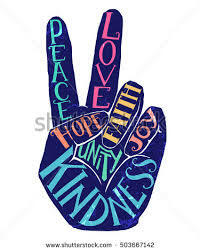 We have nothing else right now so “PEACE”. I have been meditating for over forty years and in the beginning it was fairly simple straightforward visualization sometimes to music or focus on an object. 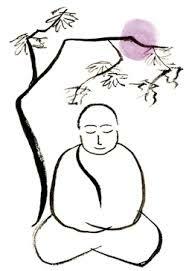 Since then meditation has grown in acceptance and the availability to various types of meditation has also grown. These days I have found that the best variety of meditation videos are on YouTube.com I subscribe to meditative Mind because their videos are unique and combine frequency, music, and color. I believe that the frequency (Hz) is important because it gets down to the DNA Level of healing. Before sound it more up to the person to visualize the movement of energy down to the DNA level. Because we are a Reiki Level II Practitioner we found YouTube.com has some great Reiki Chakra clearing videos which include detail descriptions of each of the Chakra’s as the video plays. We meditate on the chakra’s fifty percent of the time mainly because we have the experience of self-healing a five years ago when a question came up as to whether we would need Chemotherapy or not. I add two CT Scans and they saw nodules in my lungs small at first and then a little larger on the second scan. So they decided to wait three months and take another scan to decide the direction we need to go. My doctor explained that after smoking for 50+ years this was common and that we should probably do some research on Chemo because he was leaning toward that as the result, not guaranteed, but strong possibility. Form that day forward we did a Reiki meditation and prayed every night (3 months) until the day of the scan. I had the CT scan and the very next day my doctor called and I had to sit down to answer the call. I pick up the phone and the first this I heard was my doctor saying “You can fire me! You don’t need me anymore!”. I said “What! ?” and he said “The nodules are all so small and some are gone since the last scan”. He admitted that he was complete surprised but added that I had a 2% chance of this being the outcome. After we finished dancing around our chair in total joy we now go for a check up every year and the results remain the same to this day. Another instance was back in the late 80’s to the mid 90’s we had a several case of Panic Anxiety and were put on strong medication and we made up our minds that is was not going to be the norm for us and eventually we because medication free and we believe it was because we meditated every day for the last three years. One other use of mindfulness meditation is on my post about quitting smoking. We use the meditation to get past the urges to smoke a cigarette and every time after that when the same situation came up the urge was gone. We would strongly suggest learning Mindfulness Meditation and we did at the Insight Meditation Center in Redwood City, CA. 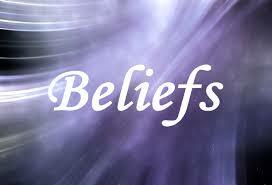 They teach based on Buddhism and it applies to mind, physical, and spiritual is every day use. They also have all their teachings in audio on their website at no charge. 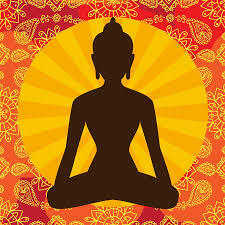 Here is the link “Insight Meditation Center” the go to Audio Dhama. There are some hospitals around the country that have Mindfulness Meditation courses available for a fee and Google has a free an on-line course and they actually have a Mindfulness Guru on staff (I want this job). 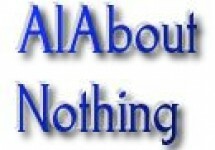 We have nothing else to add at this time except that we share via “messages” the link to our fiends.